Following the success of our opening to the start of the year with The Plantronics Science Cup, UKDota.net is proud to announce our new collaboration with GAMDIAS to bring you the GAMDIAS UKDota.net Spring Open, which will take place on Saturday, the 8th of March. Limited to 16 teams, with a £125 cash prize on offer for the first placed team, the competition will be another opportunity for the UK's best and brightest to strut their stuff in front of an audience, with games to be casted by JoeShow and durka, kindly supported by our partners Multiplay. 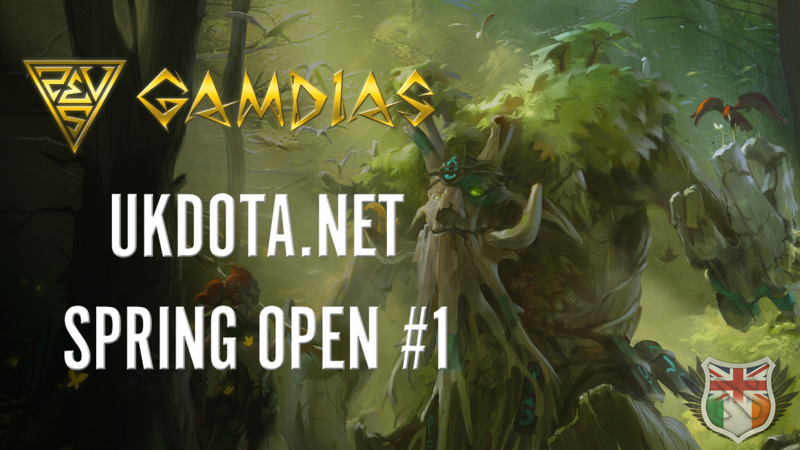 Comprising of a series of double elimination BO1s, with a BO3 grand final, the GAMDIAS UKDota.net Spring Open registration is now open, with registration taking place here. With a limit of 16 teams and a cash prize, we anticipate sign-ups will be filled quickly, so if you want to make sure you get a spot, register soon! Any teams that register after the 16 slots are filled will be considered reserve teams and will be contacted if a slot opens up. The GAMDIAS UKDota.net Spring Open #1 will take place on the 8th of March, with check-ins starting at 10am and the first rounds taking place at 11am. Check-ins will take place over on #gamdiasdota IRC channel on Quakenet.